Purpose: In development studies, knowledge has been considered an important input for development as well as a major factor in wealth creation and global competitiveness. The main purpose of this paper is to highlight the importance of building knowledge capacity for sustainable development in the Arab World. Design/methodology/approach: This paper is an attempt to shed some light on the prospects of building knowledge capacity to sustain economic growth in Arab countries. The paper uses some of the scholarly work already published on knowledge creation to strengthen these countries capabilities to sustain development. Currently, the economies of these countries are driven by non-renewable recourses, mainly oil and gas, which will limit their ability to support long-term growth. Knowledge creates wealth through innovation and economic diversification. Findings: With the exception of a few Arab countries, the rest of the region remains inadequately prepared to support rapid modernization and promote sustainable development through knowledge creation. Radical reforms, driven by policy initiatives and institutional incentives need to be introduced in order to create an enabling environment capable of promoting knowledge culture and increasing economic productivity. Originality/value: This paper contributes to the existing literature on building knowledge development in the Arab world. The literature on this subject remains limited, and the paper therefore highlights some of the important issues related to knowledge sharing and use in Arab countries. 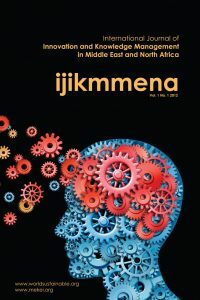 The paper examines the role that the new economy, driven by knowledge, innovation and information, plays in sustaining development in the Arab world. Sustainable development is a dynamic process comprising knowledge creation, information dissemination and technological diffusion.